Fall has officially commenced and when it comes to the weather, it’s often times a gamble. It can easily go from from damp and rainy, to dry and warm, and from cool and breezy. Sheesh, talk about Mother Nature and her bipolar attitude! Transitional seasons can certainly be a tricky one when planning your attire but one item that adapts to climate change beautifully and seamlessly is the new Mifland ‘Weathered Patina’ series. 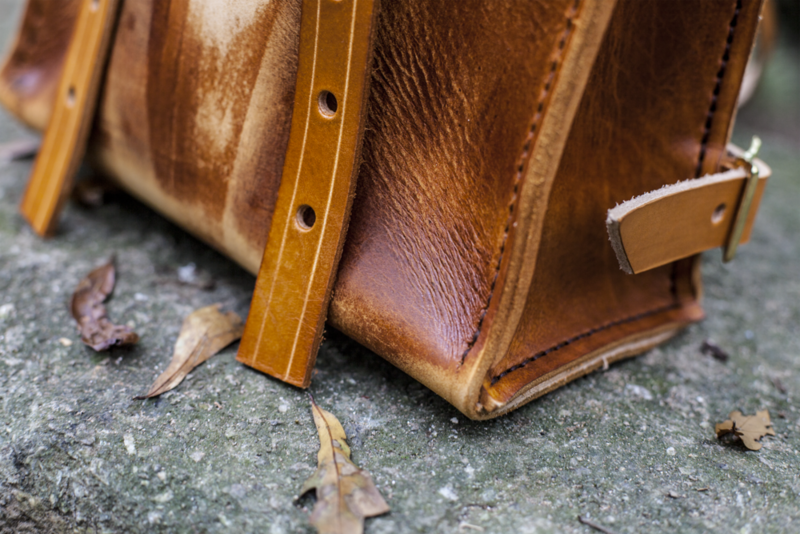 It features two of its classic models: the Concept One, Standard and the Mini Rucksack in an aged and worn-in weathered look, with its popular oil/copper finish. The rucksack backpacks have been aged using a series of techniques; from washing and drying the leather, to over dyeing the leather and lastly, to naturally and organically sun fading the leather. With this process, every rucksack is truly unique and carries its own character. The rucksacks maintain their usual measurements and offer a worn in, softer feel whilst keeping its durability and longevity status. It's aesthetically vintage and aesthetically intricate yet simple. Some users certainly prefer the natural breaking in process while creating their own stories through their individual lifestyles, but some prefer bypassing the allotted time and journey needed to achieve this aged and weathered look. As we say, ‘to each is own’. Nonetheless, each rucksack model will age and weather in its own way, at its own time, with each journey carried on its master’s back. The ‘Weathered Patina’ rucksacks will retail slightly higher than the cost of its classic silhouettes. They are currently available online now at Mifland.com.